4/23/12. 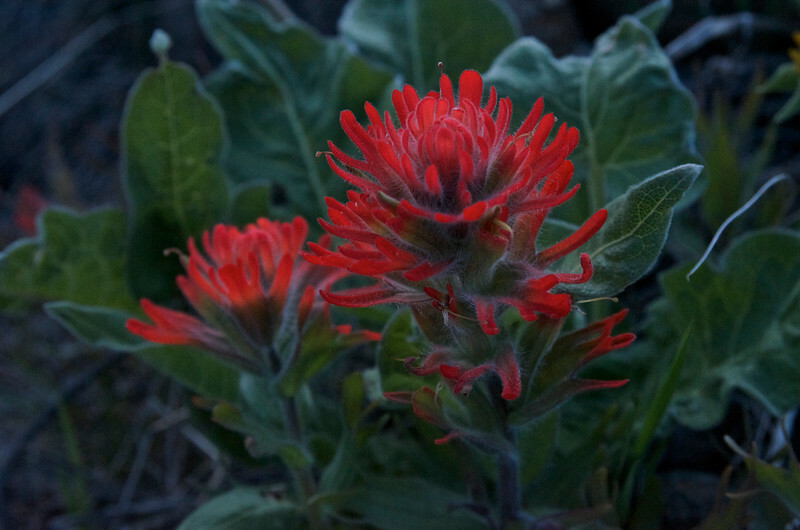 Indian paintbrush (Castilleja sp.). Another photo from this past weekend in the Columbia Gorge. Taken late in the evening on Dalles Mountain which affords a spectacular view of Mount Hood and the Gorge. The lingering light at this time can really emphasize the colors and beauty of the native wildflowers that cover the rolling open slopes of this mountain. Beautiful dusky light & colors. Very nice. Almost seems to glow.